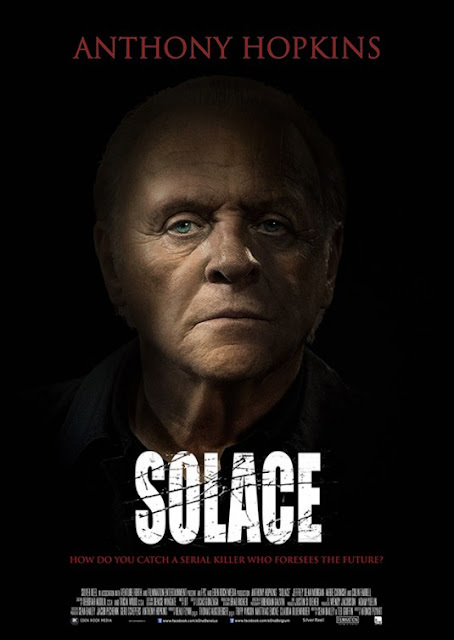 Chrichton's World: Review Solace (2015): Anthony Hopkins can make bad films too. Review Solace (2015): Anthony Hopkins can make bad films too. Once I had read the premise I was immediately intrigued. I mean how can you go wrong with Anthony Hopkins playing a psychic who helps solve cases for the FBI. As it turns out very wrong. From the moment you get introduced to the results of a serial killer you will notice a lack of tension and suspense. Yet the actors and the dialogue suggests that what is occurring is really getting to all the people concerned. Only in very brief moments you will find out the characters are disgusted. Because they tell us. One scene in particular which looks incredibly horrifying to say the least was devoid of emotions. Of course I am willing to let it slide and want to believe some agents can be very professional. But come on you still are human aren't you? It's ok to be affected slightly since that will give you that fuel and energy to get the culprits. Then Sir Anthony Hopkins. I don't know what to say about his performance. It felt like he wasn't really trying that hard. I am not even sure if he had given his role much thought. For someone who can see things by touching objects it is weird saying how he is a man of science. Well, why don't you enlighten us John Clancy? How can you explain being able to see in the future scientifically speaking? It's an extension of instinct? Wow, what insight. So you are suggesting this is something primal? Anyway back to the film. So very quickly the FBI including John Clancy (Anthony Hopkins) are close to catching their serial killer. Mind you his face gets revealed from the start. The shaky and blurring is not enough to mask who it is. Doesn't help that they are using a rather famous actor to play the role. So for those who were expecting a whodunnit will definitely will be disappointed. But then we find out why they were able to get close. Don't worry I won't reveal this awesome twist (not really I was being sarcastic in case this wasn't clear from the way I wrote or the slogan used in the poster)! It's at this point where the film goes of the rails into "I don't really care much for it" territory. Just because of the sheer ridiculousness of it. If I had to guess director Afonso Poyart was going for a cat and mouse play between serial killer and John which in theory should have been thrilling and explosive. But it's executed so poorly and tediously that you really won't care one bit. Oh but wait, there is another twist. Again, won't spoil. It's one to bring the film into a whole new direction. Hey, hang on. I am discovering a theme here. If only they would do something interesting with it. You know what the bigger mystery is? How unexperienced directors like Afonso Poyart get to work on projects with actors like Anthony Hopkins. Even bigger mystery is why Anthony Hopkins would get attached to this project. Is it the money? Surely not. Or is it just plain boredom. You know the more I think about it the more I admire Sean Connery. At least he stays retired and doesn't degrade himself. Apart from some nice visuals there are no redeeming factors whatsoever to make it worth your while. Seriously don't buy into the fact that Anthony Hopkins and Colin Farrel are involved. It's a sham. A con to draw you in for which you won't get anything in return. 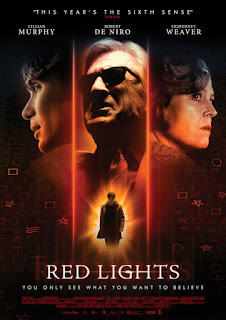 If you are craving for a really good mystery involving psychics then go watch Red Lights.